If you are owned by an Airedale Terrier, this is pretty much a daily occurrence for you. If you aren’t – what’s wrong with you – you probably just see a blur. A black and tan blur. 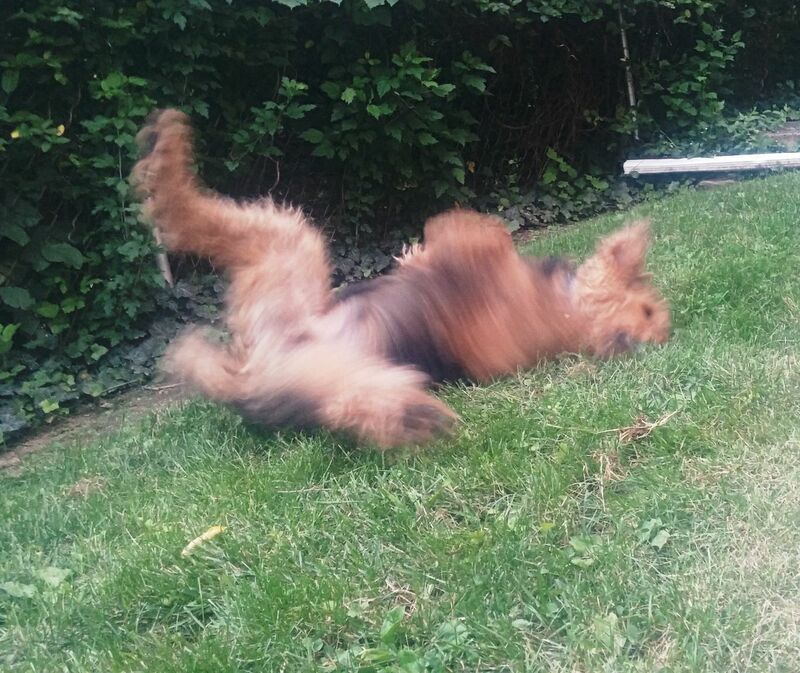 But nay, this is not just a blurry photo of a dog in action. Here I am, in all my glory, roaching on the cool, wet grass. This is fun, this is cool, this is AWESOME. Legs fully akimbo, rocking and rolling to my own beat. Then I threw in a few full zoomies around the yard, just because the spirit moved me.